New addiction! 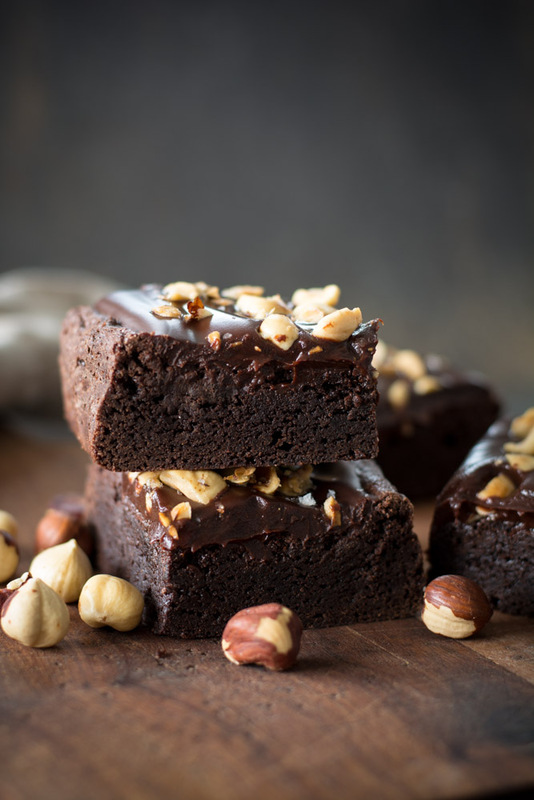 Imagine moist, chewy brownies topped with a thick layer of gianduja (chocolate and hazelnut paste) and sprinkled with buttery, toasted hazelnuts. 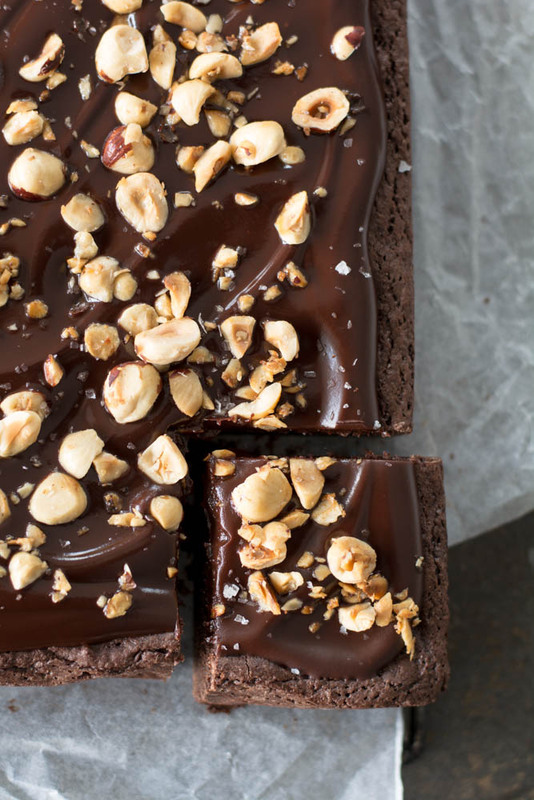 Move over other brownie recipes because buttered hazelnut chocolate brownies are my new fav. 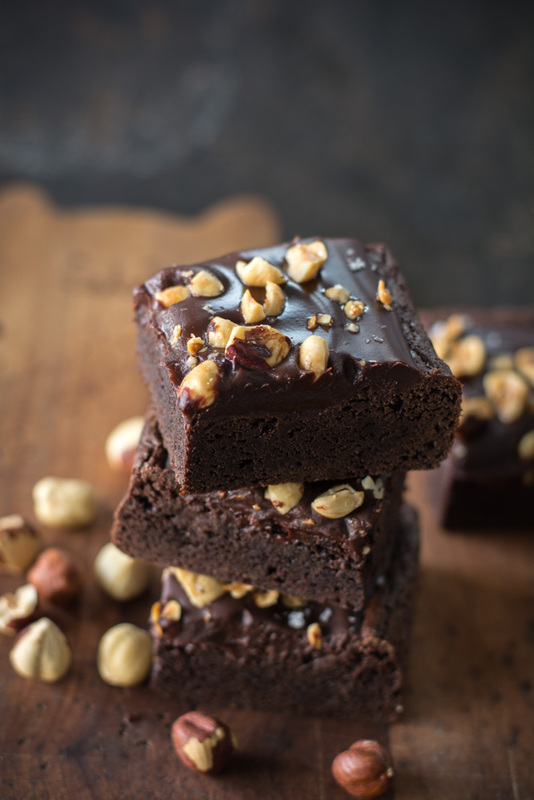 Brownies are a simple yet perfect dessert. 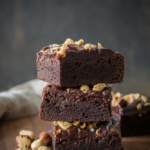 Follow along with my step-by-step photo’s and instructions to create your next favorite brownie along with options for making the recipe dairy free. 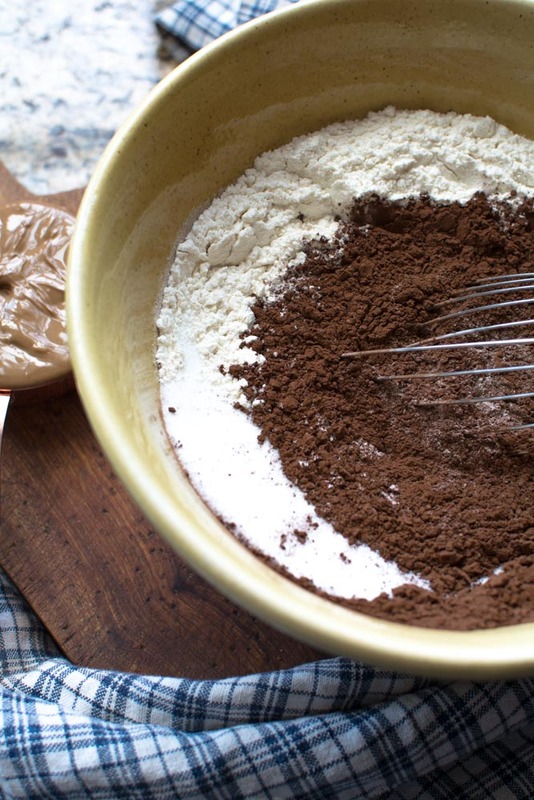 In a large mixing bowl, sift or whisk together flour, sugar, cocoa, and salt. Set aside. Melt 1/2 cup butter then stir in hazelnut paste until smooth. Here’s a side not on hazelnut paste. I use a very cream hazelnut praline paste that I purchase from a store in SLC called Gygi. It is Callebaut pure hazelnut praline paste. It’s amazing and cost $12.99 for 16 ounces. Gygi’s ships so if you can’t find any locally check them out. I purchase a few tubs at a time and put a couple in the freezer. The paste freezes really well…for like a year. 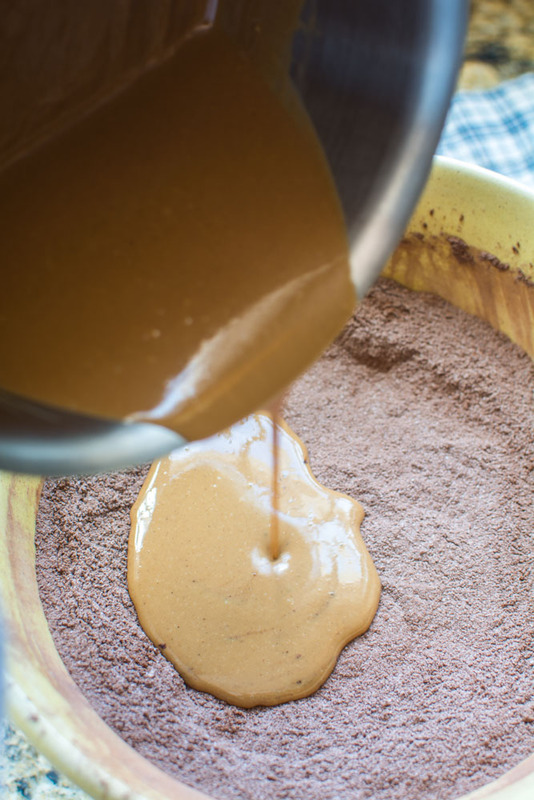 If you don’t want to mess with finding hazelnut praline paste, hazelnut butter can be used. Just use the creamiest you can find. Just note that the result will be just a little more grainy in texture, but the taste will be good. Pour over flour mixture and stir until smooth. Add eggs and stir just util smooth. Evenly spread batter in 9 x 13-inch baking dish that has been lined with parchment. If you don’t have or want to use parchment, butter and flour bottom and sides of pan. Bake in a preheated 350F degree oven for 30 minutes. Do not over bake. Remove from oven and allow to cool completely. Melt 1/2 tablespoon of butter in a skillet over medium heat. Add hazelnuts, sprinkle with a few pinches of flaked sea salt. Stir hazelnuts until beginning to brown and smell toasted. Remove from heat to cool. 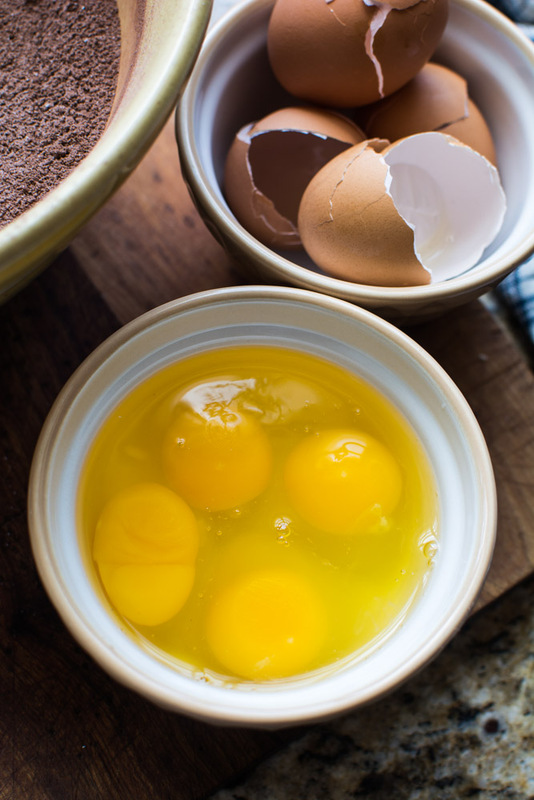 To make the wonderful ganache topping, place a bowl over a pan of simmering water (not a heavy boil). 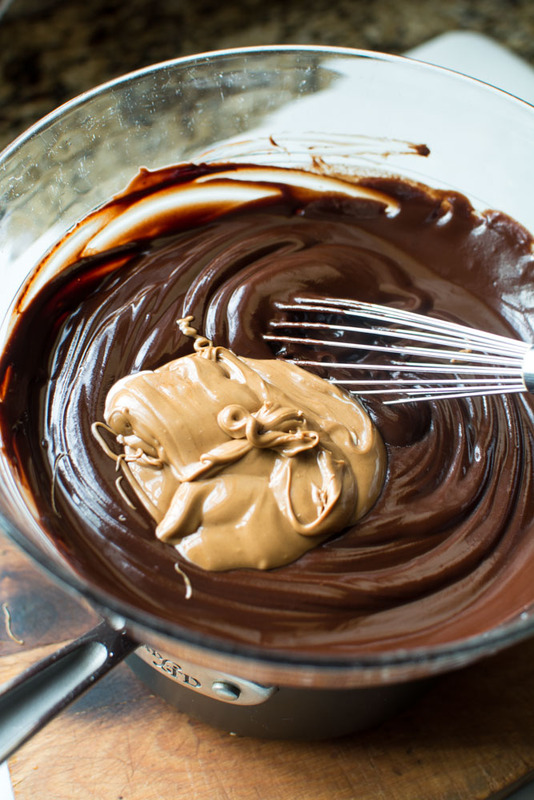 Once the chocolate begins to melt, stir until creamy and smooth. 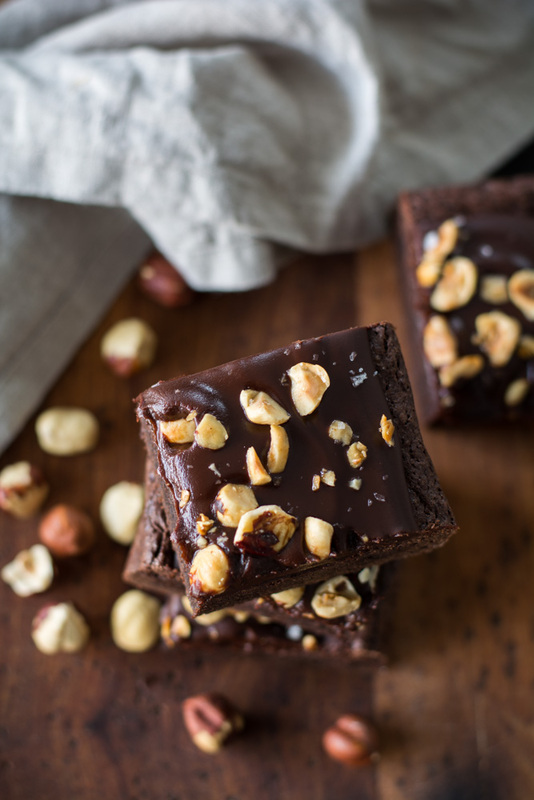 Spread over cooled brownies and sprinkle with buttered hazelnuts. 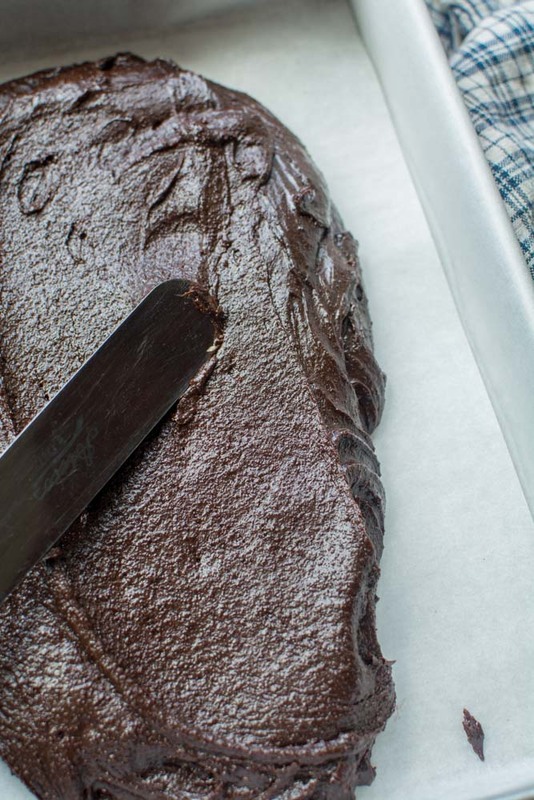 Allow ganache to completely set before cutting, which is really hard. I had to cut a corner off to eat right away, but the ganache would run off if the entire batch was cut into squares. This would defeat the thick “gianduja experience”. 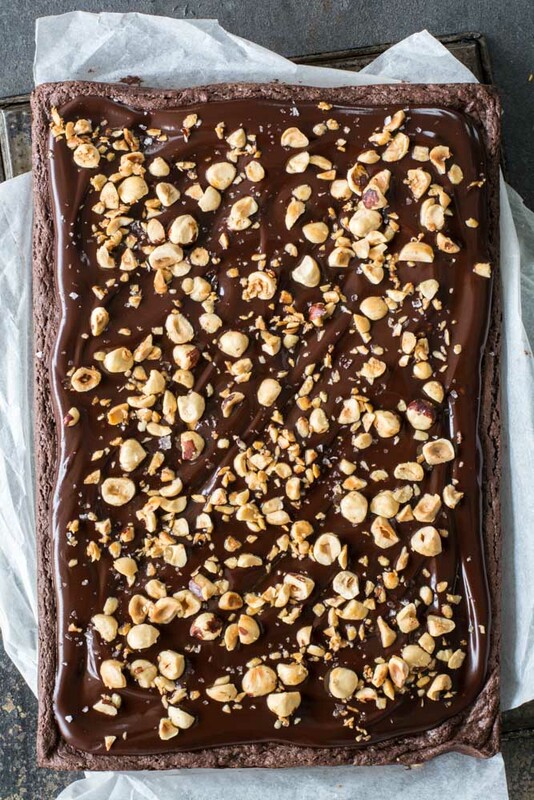 Chocolate and hazelnuts are such an addicting combination for me. 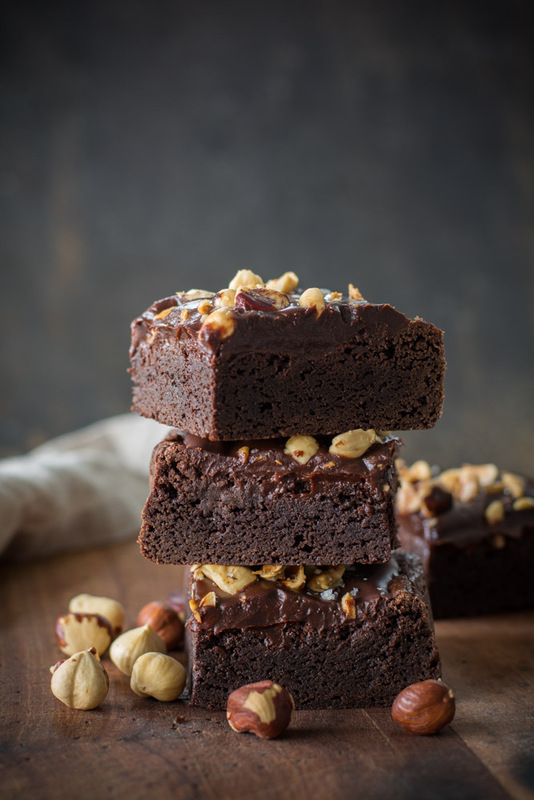 I won’t tell you how many buttered hazelnut chocolate brownies I have eat while photographing pictures. Let’s just say I’m glad I had enough to photograph. If you avoid dairy, no worries. 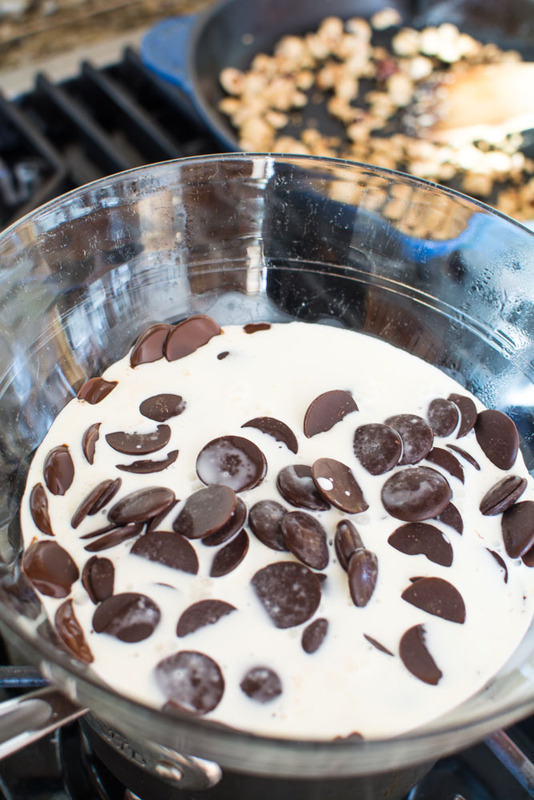 Substitute the butter in the batter with coconut oil and cream in the ganache for coconut milk. It’s that easy. 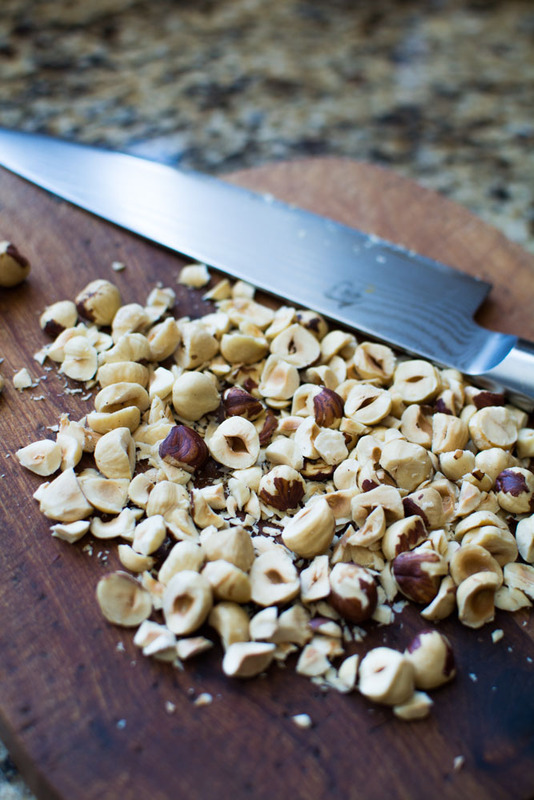 Avoiding nuts and don’t want to use Hazelnut paste, substitute 1/2 cup butter in place of hazelnut paste. Just omit completely from ganache. Line a 9 x 13-inch baking pan with parchment. Set aside and preheat oven to 350F degrees. 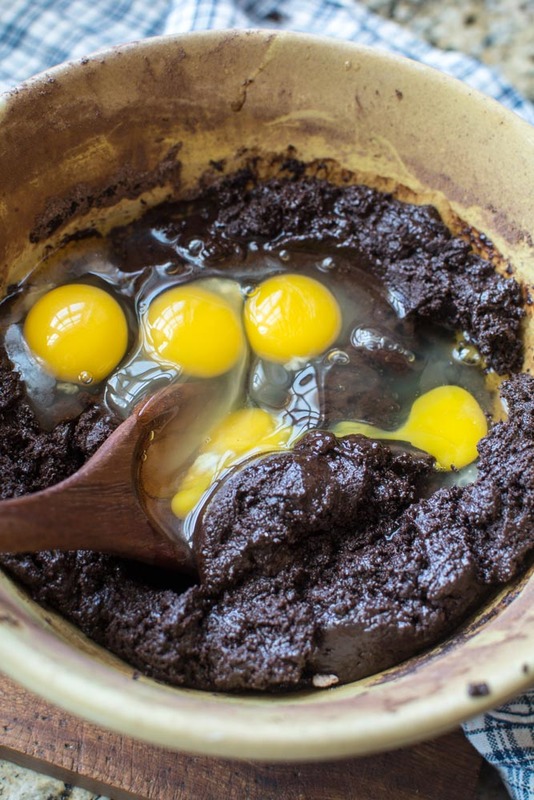 In a large mixing bowl, whisk or sift together sugar, flour, cocoa, and salt. Stir hazelnut paste into melted butter. Pour over dry ingredients and mix. 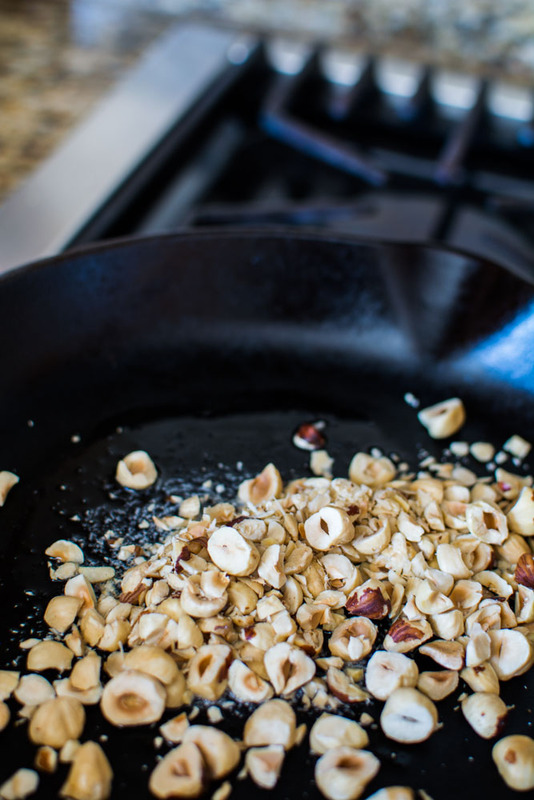 In a small skillet melt butter, Add chopped hazelnuts and sprinkle with flaked sea salt. Stir until nuts begin to brown. Remove from heat. Cool. Set a medium size bowl over the top of a small saucepan of simmering water. Add chocolate, and cream. Allow to sit over steaming water for a few minutes until chocolate begins to melt. Stir until smooth. 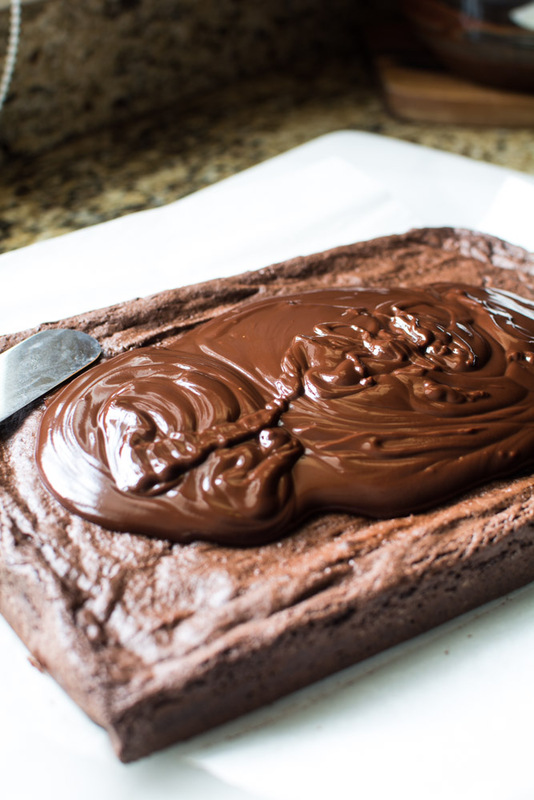 Allow ganache to firm up before slicing. 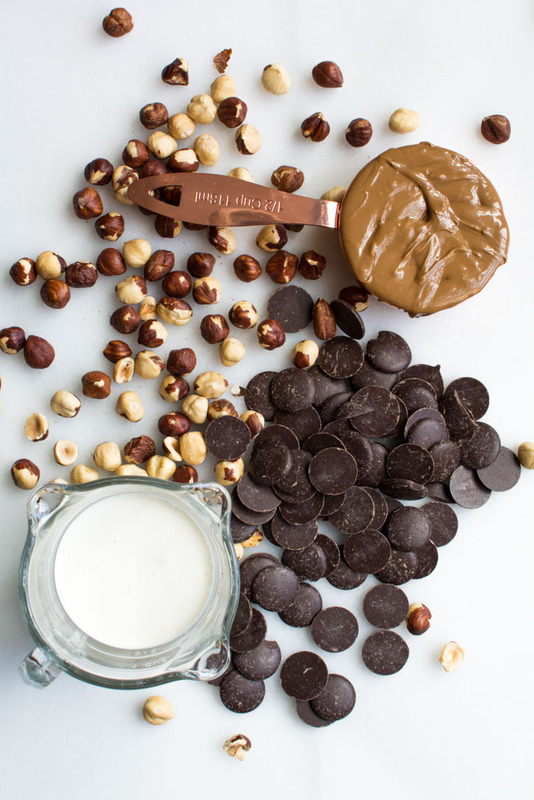 Hazelnut Praline Paste is preferred, but hazelnut butter spread may be used. Make sure it is as creamy as possible. Hazelnut butter paste will be a bit more gritty. 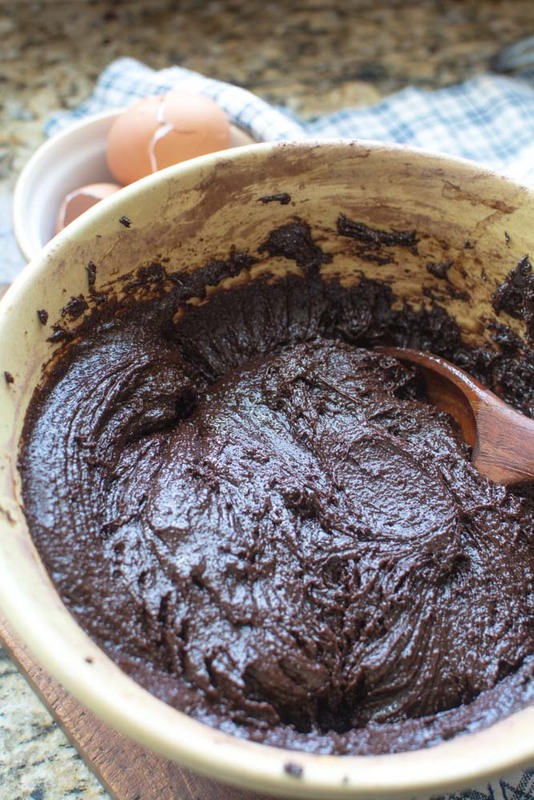 Hazelnut Praline Paste can be substituted with an additional 1/2 cup butter. I know, right!! I think im going to make these in secret next time and NOT share with anyone in my family!! I agree 100%. Thanks for having such great taste. Oh my goodness, my mouth is watering! These look amazing. And your photography is gorgeous! Thank you so much. I stress every week over photography. Your comment helps so much. Looks absolutely delicious. Where do you get your hazelnut paste? Thank you. I purchase my hazelnut paste at a site called Gygi. They ship all over. I order 3 (16 oz) tubs at a time. I freeze two and keep one in my refrigerator. There is a link towards the bottom of the post. Thank you so much Nancy. It’s so good to hear that the step-by-step instructions help. 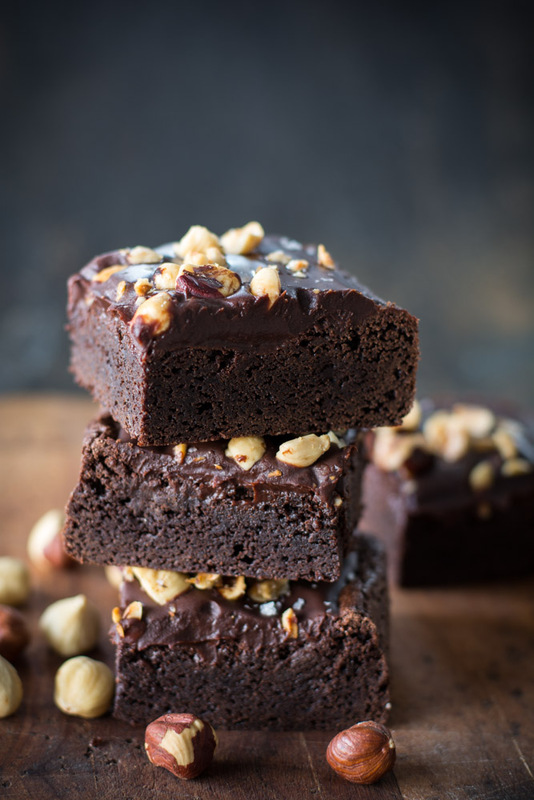 These brownies are awesome. They can be made without using hazelnut paste. 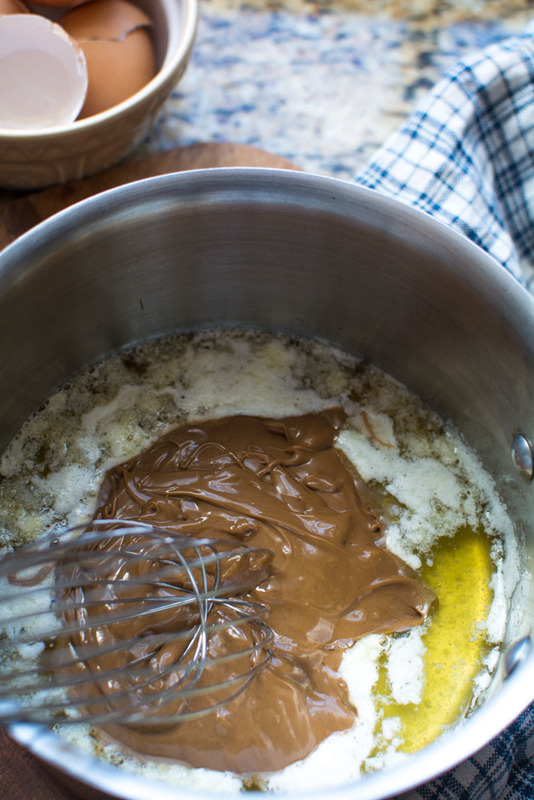 Just replace the 1/2 cup hazelnut paste with another 1/2 cup butter. Also, look at my recipe index for other brownies recipes. Million dollar brownies are similar. 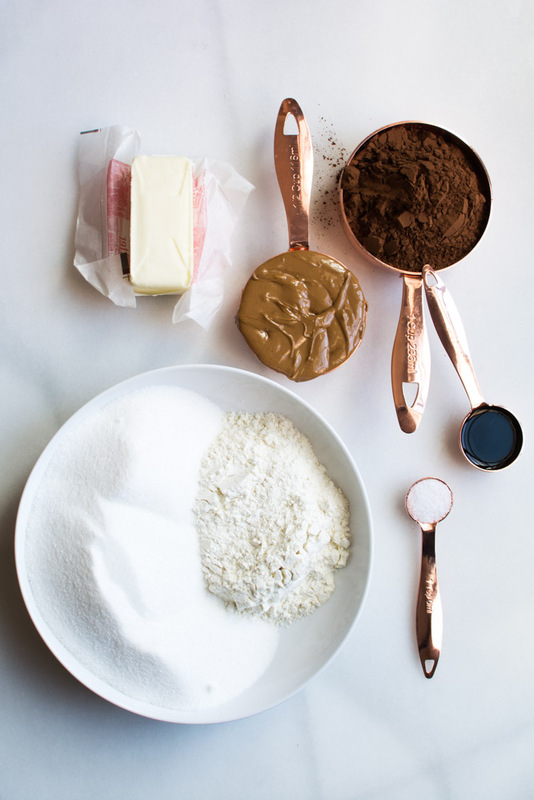 Happy baking.